Frank White, one of Kansas City's best and possibly its most popular baseball player. The Kansas City area has a long and rich baseball history. This year's Royals team is just another chapter. With that in mind, this longtime Kansas City baseball fan came up with a list of the top 10 Big Leaguers who hail from Kansas City. Dobson was born in Kansas City, Mo., but played college baseball at the University of Kansas. While playing for the Jayhawks the right-handed pitcher once started both ends of a double-header against Colorado. He came home to pitch for the Athletics and stayed with the team when it moved to Oakland. Cool Fact: Dobson and Hall of Famer Reggie Jackson were roommates in Oakland. The first black and white roommates in major league history. O’Donogue was born in Kansas City, Mo., and played at the University of Missouri before being signed by the Kansas City Athletics in 1959. He played for his hometown team for three seasons before being traded to Cleveland for Ralph Terry. O’Donoghue also pitched for the Orioles, the Pilots/Brewers and the Expos. Cool Fact: O’Donoghue played for the Pilots the only year they were in Seattle. He’s a main character in Jim Bouton’s baseball classic Ball Four. Sadecki was born in Kansas City, Kan., and pitched for Bishop Ward High School before signing as a “bonus baby” with the St. Louis Cardinals in 1958. His best year was 1964 when he went 20-11 for a Cardinals team that beat the Yankees in 7 games in the World Series. Sadecki pitched for the Mets in the 1973 World Series and played for the Royals in 1975 and 1976. Cool Fact(s): Ray Sadicki Field at 9th and Homer in KCK is named after him. Sadecki was inducted into the National Polish-American Sports Hall of Fame in 2007. Houk was born in Lawrence, Kan., (close enough to KC) and played at Lawrence High School. He was signed by the New York Yankees in 1939. While he played eight years in the big leagues he only appeared in 91 games. Houk makes the list because he managed the legendary Yankee teams that won the World Series in ’61,’62 and ’63. He also played parts of 3 seasons with the Kansas City Blues when they were the Yankees AAA team. Cool Fact: Houk was an Army Ranger in WWII and was awarded the Bronze Star and Silver Star. George was born in Kansas City, Mo., and played at Rockhurst High School where he stared in football, basketball and baseball. He was signed right out of high school in 1955 by the Kansas City Athletics who had just moved to KC from Philadelphia. While he would only play 10 games in the Major Leagues, George was the 6th-youngest person to ever play big league baseball. He was 16 years, 11 months and 19 days old when he struck out in his first at bat. (The youngest player ever was Joe Nuxhall who pitched for the Reds at 15). George played 8 seasons in the minors. Cool Fact: Really, what’s cooler than playing big league baseball before your 17th birthday? Cone was born in Kansas City, Mo., and is another Rockhurst High School graduate. At the time, Rockhurst did not have a baseball team so he played his ball in the Ban Johnson summer league. 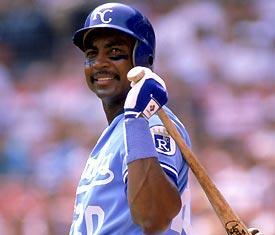 He signed with the Royals after an invitation-only tryout, and debuted with the team in 1986. He was traded to the New York Mets in 1987 where for five seasons he anchored the pitching staff with Dwight Gooden. He won a World Series with Toronto in 1992 and four more with the Yankees. He won the Cy Young award with the Royals in 1994. He threw a perfect game in 1999 with the Yankees. Cool Fact: He testified in favor of Sonia Sotomayor when she was nominated to the Supreme Court. Sutcliffe was born in Independence, Mo., and played at Van Horn High School. He was drafted in 1974 in the first round (21st overall) by the Los Angeles Dodgers. He broke into the big leagues in 1979 with the Dodgers when he won Rookie of the Year with a 17-10 record. Sutcliffe had his best years with the Chicago Cubs where he won the Cy Young Award in 1984. He also pitched two years in Baltimore and one year in St. Louis. Cool Fact: He twice won Comeback Player of the Year - in 1987 with the Cubs and 1992 with the Orioles. While Pujols was born in the Dominican Republic his most important amateur baseball was played at Fort Osage High School and at Maple Woods Community College. He was drafted by St. Louis in the 13th round in 1999 (402nd overall). He turned down a $10,000 signing bonus and played in the Jayhawk Collegiate League in Hays, Kan. When the Cards offered him a $60,000 bonus he signed. Pujols was Rookie of the Year in 2001. He signed a 10 year deal with the Los Angeles Angles in 2012 worth $254 million. He’s a nine-time All-star. Cool Fact: Pujols was just awful against the Royals in the ALDS. He was 2-12 with a home run and 2 RBI. Charles Dillion Stengel was born in Kansas City, Mo., and graduated from Central High School. He signed with the Kansas City Blues in 1910, at the time in the Class A American Association. While Stengel had a very respectable major league playing career he’s best known as a manager. Stengel managed the Brooklyn Dodgers, Boston Braves, New York Yankees and New York Mets. He had an amazing run with the Yankees, winning 10 American League championships and five World Series in 12 seasons. He was inducted into the Baseball Hall of Fame in 1966. Cool Fact(s): Stengel was also a dentist and practiced here. He was nicknamed Casey because he’s from KC. White has been around Kansas City baseball for most of his life. He grew up near old Municipal Stadium and went to A’s games when the team moved to Kansas City. While at Lincoln High School he watched the Royals at Municipal. He was in the only class at the Royals Baseball Academy and the only player to make it to the major leagues. White was mostly a singles hitter his first few years but hit 22 homers in 1985 and 1986, and hit clean-up in the ’85 World Series. White was a five-time all-star and MVP of the 1980 ALCS. Cool Fact: White’s No. 20 was retired in 1995. There’s a good chance he’ll be a member of the Jackson County Legislature after the Nov. 4 election. 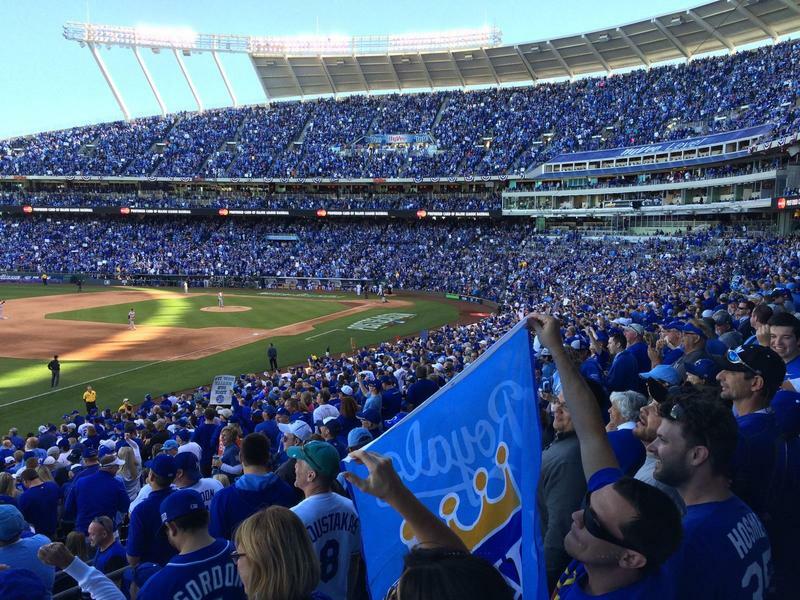 It's been 29 years, so we almost forgot what it felt like, but on Wednesday Kansas Citians around the globe had a sweet sip of victory after sweeping the Baltimore Orioles to take the ALCS Championship. We still have to prove we're the world's best — but for the time being, the sound of success is all you can hear in Kansas City. 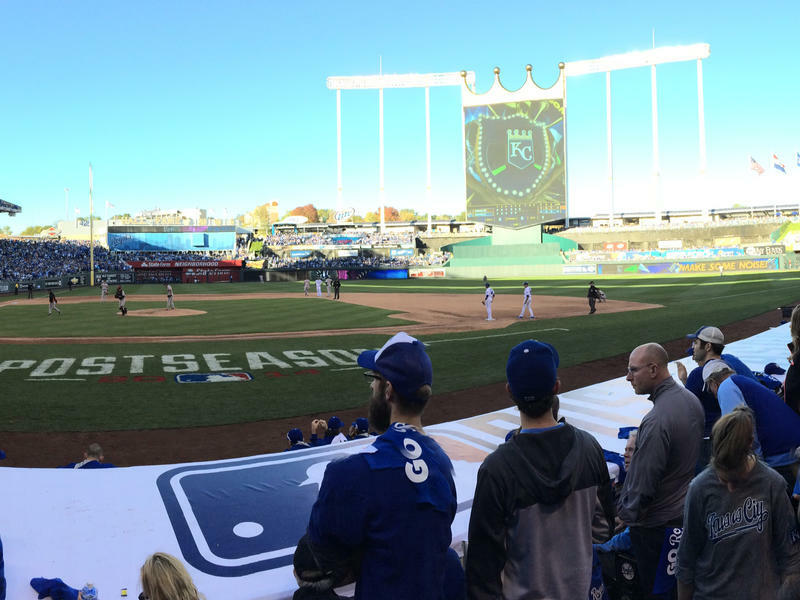 Which Team Would The Royals Rather Face In The World Series? The Kansas City Royals clinched the American League Championship against the Baltimore Orioles Wednesday, and will move on to the World Series for the first time in 29 years. Fans are celebrating the historic moment, but the boys in blue aren't out of the woods just yet. Now the question is which team will they face off against: the St. Louis Cardinals or the San Francisco Giants? And which would be a better matchup? Sweeping away 29 years of heartbreak and bringing home an American League pennant to a rejoicing city, the Kansas City Royals clinched a trip Wednesday to the World Series. Final score after a fast fall game under clear royal blue skies: Kansas City 2, Baltimore 1. Screaming fans at Kauffman Stadium, on their feet for the ninth inning, counted down the outs until their beloved Royals were in the series. "Three. More. Outs ... Two ... Strike out! ... One. More. Out ... Sweep! Sweep!"